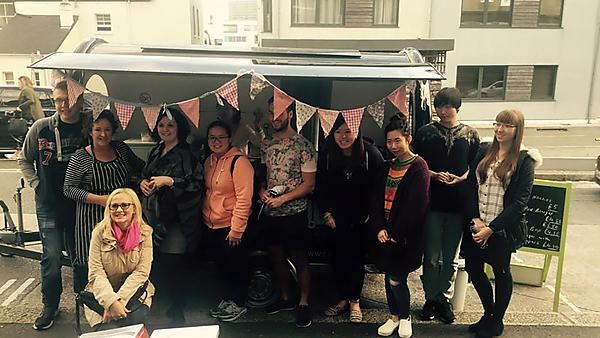 After completing her undergraduate degree, Louise Slee has gone on to achieve a PGCE in the lifelong learning sector and has set up CornishPod. Since I graduated from Plymouth University's School of Tourism and Hospitality, I have completed a PGCE (also at Plymouth University, delivered by Cornwall College). Has your degree helped/influenced your career path? Definitely. With food technology being off the national curriculum at the time I chose to study, and as my long term goal was to become a cookery teacher, I took a very unique route to qualifying. I am only now completing a formation process to teach in a secondary school. I have been able to take a wide range of life experience into the classroom, as well as rely on my academic achievements. I had intended to stay in further education; however, I am now in a great school that is enthusiastic about the delivery of vocational subjects, which I totally support. I can see students gaining not just knowledge but essential work and communication skills every day in my current workplace. Completing the years of study that I did not start until the age of 40! Also, trying to juggle studying, working, and looking after my family. Since launching the CornishPod, I guess not having enough days and hours in the week are proving a challenge. Winning the World Open Savoury Pasty competition 2016 is the most exciting and fun thing that I have achieved so far. Only a week after winning, doors are opening for us with the CornishPod. I would really like to find a balance between teaching and the CornishPod. I enjoy both career paths and put my all into them. Make sure that you have a great plan in place, buy the best equipment that you can, and get your branding and marketing right from day one. Studying at Plymouth meant that I could still live at home with my family. I also researched the local food scene for my dissertation, focusing on celebrity chefs, which gave me an insight into the local economy and, of course, contacts in the catering industry. I use my research skills all the time just for simple things, but I also use them for business information which, if I had to seek expert advice, would be costly. Although petrified of heights, I abseiled from a tower whilst on a leadership module at Skerne Lodge. This is something I will never forget… I think they say 'I took one for the team.' The team were all an average age of twenty; however, I remain friends with all of them on social media. Yes, I stay in contact with a lot of my cohort via Facebook. I am in contact with the School of Tourism and Hospitality through Wai Mun Lim, and I recently delivered a presentation on street food from the CornishPod. I would definitely recommend Plymouth University. I started at City College Plymouth, where I am great friends with some of the lecturers to this day. I found the support was excellent throughout my undergraduate degree and of course Cornwall College during my PGCE. For more information about our range of courses within the School of Tourism and Hospitality, please visit the school page. If you would like to find out what other alumni from the School of Tourism and Hospitality are currently doing, please visit the hospitality, tourism, sport and leisure interest area.